Researchers have assessed how widespread the threat of plastic is for the world’s seabirds, including albatrosses, shearwaters and penguins, and found the majority of seabird species have plastic in their gut. The Commonwealth Scientific and Industrial Research Organisation (CSIRO) and Imperial College London study, led by Dr Chris Wilcox with co-authors Dr Denise Hardesty and Dr Erik van Sebille, found that nearly 60 per cent of all seabird species have plastic in their gut. The scientists estimate that 90 per cent of all seabirds alive today have eaten plastic of some kind. 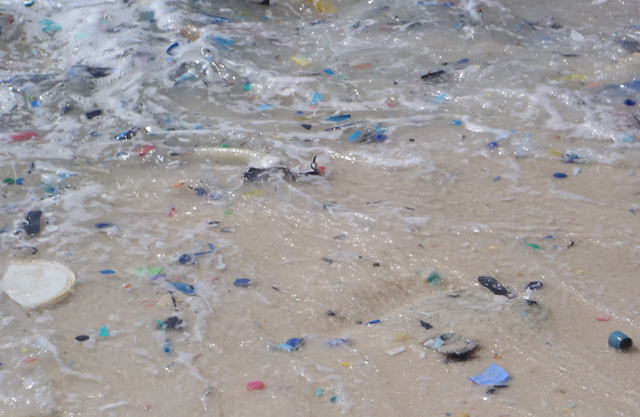 ‘For the first time, we have a global prediction of how wide-reaching plastic impacts may be on marine species – and the results are striking,’ senior research scientist at CSIRO Oceans and Atmosphere Dr Wilcox said. ‘Finding such widespread estimates of plastic in seabirds is borne out by some of the fieldwork we’ve carried out where I’ve found nearly 200 pieces of plastic in a single seabird,’ Dr Hardesty said. Dr van Sebille, from the Grantham Institute at Imperial College London, said the plastics had the most devastating impact in the areas where there was the greatest diversity of species. ‘We are very concerned about species such as penguins and giant albatrosses, which live in these areas,’ Erik van Sebille said. Dr Hardesty said there was still the opportunity to change the impact plastic had on seabirds. ‘Improving waste management can reduce the threat plastic is posing to marine wildlife,’ she said. ‘Even simple measures can make a difference, such as reducing packaging, banning single-use plastic items or charging an extra fee to use them, and introducing deposits for recyclable items like drink containers. Chief scientist at the US-based Ocean Conservancy Dr George H. Leonard said the study was highly important and demonstrated how pervasive plastics were in oceans. ‘Hundreds of thousands of volunteers around the world come face-to-face with this problem during annual Coastal Cleanup events,’ Dr Leonard said.